*As AM radio tries to find a foothold in the early 21st century, the hot format of the moment is all-comedy – a format that just picked up another convert in CANADA. 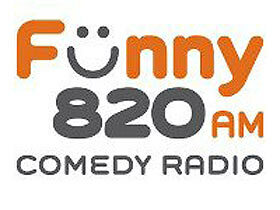 Astral Media pioneered all-comedy north of the border earlier this year at CKSL (1410) in London, Ontario, and apparently found enough success there that it’s replicating the format in the next big market to the east, where it flipped CHAM (820 Hamilton) from country to comedy at 8:20 Tuesday morning. Unlike CKSL, which is running a feed from the US-based “24/7 Comedy” network with little local content, CHAM has an “Ambassador of Funny” in the person of Mike Nabuurs, the lone on-air holdout from 820’s former country format. Nabuurs is contributing local entertainment news and traffic updates to CHAM during drivetimes, with “24/7 Comedy” supplying the rest of the content. The move comes two years after CHAM returned to country from a brief stint with talk, only to run into the buzzsaw of a bigger FM country competitor, Durham Radio’s CHKX (KX 94.7). *In Toronto, Corus’ CFMJ (640) is shuffling its schedule a bit, moving the syndicated Charles Adler show to evenings and bringing in Jeff McArthur to handle Adler’s former afternoon shift. McArthur’s a busy guy: he’s based at Corus’ London cluster, where he does the 9 AM-noon shift on CFPL (980) and had been doing mornings on CKDK (103.9 Woodstock), though he’s given up that gig to take the Toronto talk slot. *In Quebec, French-language talk dominated the week’s radio news, nowhere more so than at CKLX (91.9 Montreal), where the former “Planète Jazz” gave way to hot talk last Monday morning. 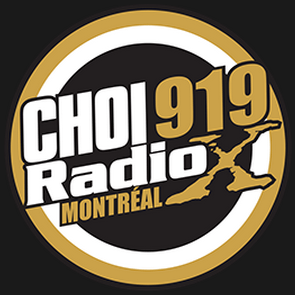 RNC Media is still awaiting CRTC approval to fully convert the station from jazz to a Montreal clone of its successful Quebec talker, CHOI (98.1), so in the meantime it’s still programming jazz after 7 on weeknights and most of the day on Saturday and Sunday. Outside Montreal, Cogeco followed through last week on the plans it announced back in June to flip three of its FM signals from the “CKOI” top-40 network back to French-language talk. CKOF (104.7 Gatineau-Ottawa), CKOB (106.9 Trois-Rivieres) and CKOY (107.7 Sherbrooke) had all been talkers before, in their previous identities as CJRC, CHLN and CHLT, respectively; now they’re carrying programming that originates in Montreal at Cogeco’s top-rated CHMP (98.5), and Steve has all the details on that lineup, too. *A veteran radio manager is returning to the business right where he left off in upstate NEW YORK. For more than a decade now, Bob Morgan has been in the tower business, serving as senior VP/broadcast for American Tower – but before he joined ATC in 1999, he was the market manager for American Radio Systems/CBS Radio here in Rochester. Now he’s right back in the former CBS Radio suite on the 17th floor of the HSBC Tower, which is now home to Clear Channel’s Rochester cluster, where Morgan stepped in last week to fill the VP/market manager slot vacated by Kevin LeGrett’s promotion to senior VP/operations. The move also reunites Morgan with some of the talent who worked for him at ARS/CBS, most notably Brother Wease, who’ll be facing a contract renewal soon at Clear Channel’s WQBW (95.1 the Brew). Much of what’s now the Clear Channel Rochester cluster was once the Lincoln Group – and on Thursday, veterans of that old-line broadcast company learned that its founder had died. Albert “Bud” Wertheimer was a second-generation broadcaster, son of FM pioneer Al Wertheimer, and when Bud entered the business in 1963 FM radio was just beginning to wake from its long 1950s-era slumber. Bud Wertheimer started Functional Broadcasting to secure the Muzak franchise in western New York, a franchise that required FM signals to carry the all-important Muzak subcarrier. Thus were born WDDS (93.1) in Syracuse and WVOR (100.5) in Rochester, the stations that would eventually become the core of the Lincoln Group. In the group’s heyday in the 1970s and 1980s, when Wertheimer had partnered with Rochester’s Jack Palvino, the group would come to own not only WVOR but also Rochester’s clear-channel AM giant, WHAM (1180), as well as WBUF (92.9 Buffalo) and stations in eastern Ohio. WVOR, in particular, epitomized the Lincoln Group’s ethos: the “Heart of Gold” was the first Rochester FM station to top the ratings, adopting many of the service elements (including a hefty dose of local news and constant community involvement) that were once the sole province of AM radio. *Downstate, veteran morning man Mark Cooper is absent for now from WPDH (101.5 Poughkeepsie) as he recuperates from what was apparently a fairly serious medical problem. The station isn’t giving out the details, but it appears Cooper will be gone for at least a few weeks, leaving co-host Kricket Nacy to work with part-timers for the duration. In New York City, we can now pin a date on the launch of ESPN Deportes Radio on WEPN (1050): the simulcast with the market’s new ESPN Radio outlet, WEPN-FM (98.7), will end at 2 PM on September 7, when ESPN will put its Spanish-language sports format on the 50,000-watt AM signal from the New Jersey Meadowlands. *On TV, Polly Van Doren is the new news director at Buffalo’s WKBW-TV (Channel 7), moving to the Queen City from KOLR in Springfield, Missouri to replace John DiSciullo, who’s now across town at WBBZ-TV (Channel 67). More big news from Buffalo: after 34 years on the air, Joe Chille is leaving his morning host/PD position at Townsquare Media’s WJYE (96.1) later this week. Chille has been a Buffalo fixture since joining “Joy 96” in its easy-listening days back in 1978, and he says his next move involves “exploring new opportunities” in public relations. Chille’s last show on WJYE is slated for Wednesday, and no replacement has yet been announced. The Buffalo Broadcasters Association has named its Hall of Fame roster for 2013, including longtime Sabres announcer Rick Jeanneret, who’ll take home this year’s “Active Award” for broadcasters still hard at work in the industry. Veteran photojournalist Bill Cantwell gets the “Behind the Scenes” nod this year, while longtime WGR (550) talent Mike Roszman gets the “Golden Age Award.” Among those now out of the business in Buffalo, MaryLynn Ryan gets the “Buffalo Bob Smith Award” for taking her talents to larger markets, most notably as southeast bureau chief for CNN. Tom Calderone, once of Buffalo State’s WBNY (91.3) and now president of VH1, gets the “Al Anscombe Award,” and the “General Award” goes to newsman Lee Coppola, who became dean of the journalism school at St. Bonaventure University. The Hall of Fame inductees will be honored at the group’s 16th annual dinner at the WNED studios September 20, with YNN’s Katie Morse and WYRK’s Clay Moden serving as emcees. 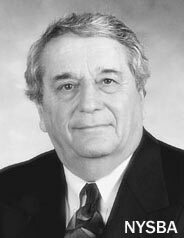 *We’re sorry to report the death of former WNEW-FM (102.7) music director “Father Thom” Morrera, who died August 18 after suffering a heart attack in July. Morrera was WNEW’s overnight jock in the 1970s and early 1980s, and also worked as the public address announcer for the Rangers and the U.S. Open tennis tournament. Morrera, 66, had most recently been working at SiriusXM. *Some good news from eastern MASSACHUSETTS: the TV antenna that failed in April has finally been repaired and returned to its perch 1300 feet atop the Richland tower in Needham, restoring WBZ-TV (Channel 4/RF 30), WCVB-TV (Channel 5/RF 20), WSBK (Channel 38/RF 39) and WGBX (Channel 44/RF 43) to their usual spot at the top of the tower. The return of that upper master antenna to full-power service on Friday allowed the identical lower master antenna, which had been a temporary full-power aux for those four stations, to be returned to WGBH-TV (Channel 2/RF 19), allowing WGBH to go back to full power for the first time since April. On the radio side of things, it didn’t take long for Barry Scott’s “Lost 45s” to find a new Boston radio home. Less than a month after losing its weekend slot on WODS (103.3) when that CBS Radio station shifted from classic hits to top-40 “AMP Radio,” Scott’s show has landed on Greater Media’s WROR-FM (105.7), where it will debut September 2 with the first part of its annual Top 100 Countdown. In Brockton, WXBR (1460) is preparing to return to the air September 12 from a new home at 250 Belmont Street. The move, under new owner Azure Media, will mark the first time in many decades that the former WBET has broadcast from anywhere other than its longtime home at 60 Main Street, the former headquarters of WBET’s former parent, the Enterprise newspaper. *A veteran VERMONT broadcaster is starting a new gig at the other end of the Green Mountain State. Steve Cormier is best known as the longtime co-host of the “Corm and the Coach” morning show on several Burlington stations, but he’s now making his home down in Brattleboro as the new morning man at WTSA-FM (96.7) and station manager for WTSA-FM and WTSA (1450). In Brattleboro, Cormier is working for station owner Kelli Corbeil, whose late husband Bill was a good friend of Cormier’s. *In MAINE, Rick Foster says the decision to leave WDEA (1370 Ellsworth) was “totally mine.” Foster departs the station, which just changed hands from Cumulus to Townsquare Media, on Friday – which happens to be the 50th anniversary of his start there. He’s spent most of his time at WDEA doing mornings, and no replacement has yet been named. *Radio People on the Move in CONNECTICUT: Keith Dakin is now operations manager and “director of digital strategy” for Cox’s remaining stations, adding WEZN (Star 99.9) and WFOX (95.9 Norwalk) to his existing programming duties at WPLR (99.1 New Haven). *In NEW JERSEY, Scott Valentine is the new morning man at WAWZ (99.1 Zarephath). Valentine moves east to the Pillar of Fire contemporary Christian station from KCMS (105.3) in Seattle, where he was PD and morning host. *In central PENNSYLVANIA, Trustworthy Radio LLC has filed for Chapter 11 bankruptcy at WHYL (960 Carlisle). Co-owner Bruce Collier tells the Harrisburg Patriot-News that he’s hoping the move will allow the station to stabilize its finances without forcing any major changes, and we wish him the best as he wrestles with the economy. 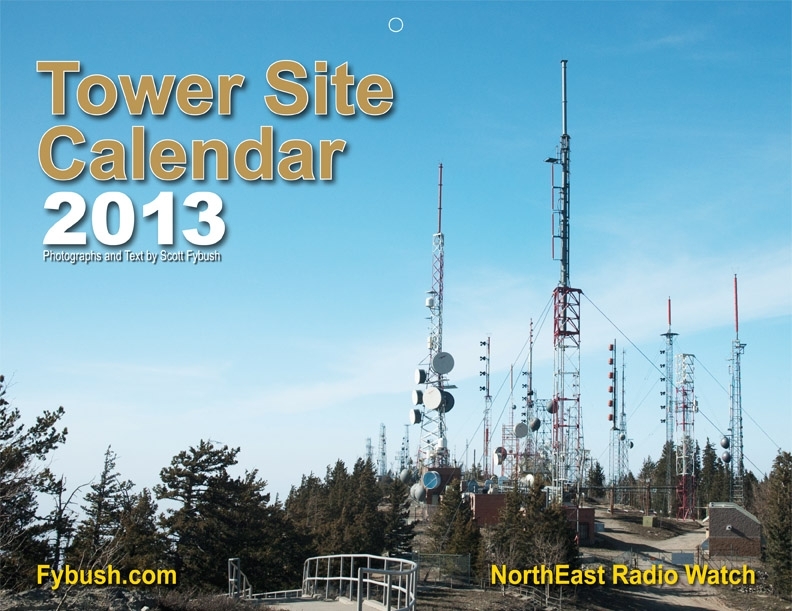 You can be one of the first readers to own the 2013 Tower Site Calendar, at a special price! This is our 12th edition of our annual calendar, which features photos of broadcast towers taken by Scott Fybush on his travels. Order 20 or more for a 10% discount! *Our NEW YORK news begins with an obituary: Bob Sherman wore many hats in his long career in radio, television and interactive media, beginning with his first management job in 1975 at the helm of CBS-owned WCAU (1210 Philadelphia). Sherman quickly shot to the top of the industry, taking over in 1979 as executive VP of NBC’s owned-and-operated radio stations, a role that found him installing Howard Stern on WNBC. 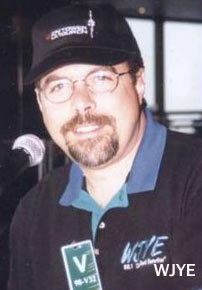 After three years at NBC Radio, Sherman left radio for a while to run an ad agency, but came back with two groups in the 1990s, first WP Radio and then, in partnership with MTV co-founder Bob Pittman, the Roberts Radio group that became a major Hudson Valley player before selling out to Clear Channel in 2000.After Roberts Radio, Sherman joined Pittman at AOL-Time Warner, but he (and Pittman) came back to radio 2003 with the Pilot Group investment firm, where Sherman served as chairman and CEO for one of its big investments, Double O Radio. Double O, of course, was just in last week’s headlines for the impending sale of most of its stations (including its Oneonta-based cluster) to Townsquare Media – and no sooner did that sale become public than we learned of Sherman’s last Sunday after a battle with liver cancer. Sherman was 69. Blueberry will continue the “Bear” simulcast on its two coastal signals, WLKE (99.1 Bar Harbor) and WMCM (103.3 Rockland), and the simulcast might make a little more sense once the overlap with 104.7’s signal goes away. *We know a little more about last week’s NERW lead story out of RHODE ISLAND: while Rhode Island Public Radio has indeed filed with the FCC to make the changes that would shift its flagship Providence signal from WRNI (1290) to the Wheeler School’s WELH (88.1), the last pieces of the deal are still coming together behind the scenes. The plan calls for RIPR to pay Wheeler $75,000 a year plus three percent of increased revenues from making the AM-to-FM swap; RIPR would then lease the 1290 signal to Latino Public Radio (which has been leasing half of the program day on WELH) “at cost.” RIPR general manager Joseph O’Connor says he’s hoping to pull all the pieces together in time to make the switch happen by October 1. *It’s been literally years in the making, but VERMONT Public Radio is finally about to throw the switch on an expansion that will bring its second service, an all-classical network, to the state’s largest market. On Friday, August 31, VPR will take control of what’s now WAVX (90.9 Schuyler Falls NY), replacing that station’s Christian rock format with classical and changing the calls to WOXR. The station is expected to sign off as WAVX on Wednesday, when VPR closes on its purchase of the station from Christian Ministries, Inc. It will return Friday at – when else? – 9:09 in the morning. When it does, it will help to fill out the VPR Classical network that signed on in 2004 at WNCH (88.1 Norwich), serving the Connecticut River Valley. The network grew in a small way with translators, then added a second full-power signal, WJAN (95.1 Sunderland, now WVTQ), earlier this year – but until now, it’s been heard in Burlington and vicinity only via web streaming and the HD2 channel of VPR’s main network. As for the “Wave” programming, Christian Ministries will continue it – on HD. It’s using some of the proceeds of the WAVX sale to upgrade its flagship station, WGLY (91.5 Bolton), and will put the Wave on WGLY’s HD2 signal. *The newest FM station in CANADA (for a few minutes, anyway) hit the airwaves in Peterborough, Ontario at noon on Tuesday. CKPT-FM (99.3) takes over where CKPT (1420) left off, freshening up the soft AC that was on the AM. The new “Energy 99.3” takes a hot AC approach, and it’s running jockless until September 10. (The CTVglobemedia-owned station will continue simulcasting on AM for 90 days before 1420 goes silent for good. )The next newest station in Canada will likely be My FM’s new outlet in Nappanee. CKYM (88.7) is close to completing its testing, and when it signs on, Milkman UnLimited reports Rob Calabrese will be doing mornings, with Matt McIntyre in middays and Jamie Cybulski in afternoons. Vox Media returned the “Bob Country” name and format to the dial last Friday (Aug. 30), replacing “Star” soft AC on WSSH (95.3 White River Junction) and WZSH (107.1 Bellows Falls). The “Bob” nickname was last heard on WMXR (93.9 Woodstock) and WCFR-FM (93.5 Springfield, now WXKK) a couple of summers ago, before being pulled by Clear Channel to leave its “Kixx” (WXXK 100.5 Lebanon NH) as the only country outlet in the market. Vox’s version of “Bob” includes original Bob PD Heath Cole, who also keeps his PD duties at oldies WWOD (104.3 Hartford)/WCFR (96.3 Walpole NH), with a slate of live and local voices to come.”The battle is on! Let the fun begin!” says Vox’s Ken Barlow of the format war with Kixx. Tuesday (Sep. 3) marked the debut of WLIE (540 Islip), the new talker that replaces standards WLUX on the frequency. The lineup begins with David Weiss and Tracy Burgess doing a morning news block, followed by live, local talk with Ed Tyll, John Gomez and Mike Siegel. Other voices heard on the new station include Jim Bohannon, Mike Gallagher and Michael Medved (in late-night tape delay). Brokered programming continues in the evening on 540 for now. Meanwhile up in Albany, we caught the first day of the new format on WHTR-FM (93.7 Scotia) and WHTR (1400 Albany), as owner Galaxy pulls the hot talk and replaces it with modern rock as “K-Rock.” The Albany K-Rock isn’t a straight simulcast of its sisters in Utica (WKLL 94.9 Frankfort) and Syracuse (WKRL 100.9 N. Syracuse/WKRH 106.5 Minetto), but the music mix sounded familiar. Our top headlines come from the business section this week, where the investment firm of Hicks, Muse, Tate, and Furst made national news with its $2.1 billion acquisition of SFX Broadcasting. The deal give Hicks, Muse the largest station group by number of stations (314) and the third-largest by revenue. Here’s what it creates in the Northeast: Hicks’ Capstar group owns the old Knight Quality group (WGIR AM/FM Manchester NH; WHEB-FM, WXHT(FM), and WTMN in the Portsmouth NH market; WTAG-WSRS(FM) in Worcester MA; and WEZF(FM) in Burlington VT) and the old Commodore Media group (WINE, WSTC, WNLK, WPUT, and WFAS on the AM side and WRKI, WKHL, WEFX, WAXB, WZZN, and WFAS on the FM side in southwestern Connecticut and Westchester County NY). Hicks’ Chancellor group has the big-market properties (WXKS AM-FM and WJMN in Boston, the amazing five FM combo in New York that now includes WAXQ, WHTZ, WKTU, WLTW, and WNSR (ex-WDBZ), and WALK AM-FM, WBAB-FM and WBLI on Long Island). And the SFX deal will bring into the fold still more properties in southern New England and vicinity. In Massachusetts, it’s WHMP AM-FM and WPKX(FM) in and around Springfield. In Rhode Island, it’s WHJJ, WHJY, and WSNE in the Providence market. In New York, it’s WTRY AM-FM, WGNA AM-FM, and WPYX in Albany and WGBB(AM) and WHFM on Long Island. And in Connecticut, it’s WHCN, WKSS, WMRQ, WWYZ, and WPLR on the FM side and WPOP(AM). Not to mention Hicks, Muse’s acquisition of LIN Broadcasting’s TV stations, which brings WTNH New Haven-Hartford and WIVB Buffalo into the fold. NERW suspects Hicks, Muse may run into trouble keeping both WTNH and the enormous cluster of 8 FMs and 4 AMs in Connecticut, and even if that passes muster with the feds, there’s still that persistent rumor that Hicks, Muse’s next target is American Radio Systems — which would bring three more Hartford FMs into the mix, while bolstering Hicks, Muse’s presence in Boston and bringing it into the Rochester and Buffalo markets. We’ll begin the rest of the week’s news with another buyout, this time in MASSACHUSETTS and for all of $8 million. WNRB (1510), the withered descendant of the once-mighty WMEX, is in for yet another new owner and format. Communicom and its religious programs will give way by the end of September to One-on-One Sports, the Chicago-based network that’s buying small AM facilities in big markets nationwide (they debut Monday in New York City on WXLX (620) Jersey City NJ). This will be something like the tenth format for 1510 in the last decade; you’ll be forgiven if you’ve lost track too. In any event, WNRB will have at least a bit of local sports. Boston University football will return to commercial radio this fall on WNRB, after several years on BU’s noncomm WBUR-FM (90.9). Giant Sports is handling the business end of the deal. The much-hyped format swap between Boston’s 96.9 and Lowell’s 99.5 happened right on schedule last Friday at noon, with the new “Country 99.5” making its debut with “Gone Country,” while “Smooth Jazz 96.9” used “Smooth Operator” to mark its start. The legal calls remain WKLB-FM on 96.9 (they hide it in plain view by saying “If you’re looking for WKLB-FM Boston, tune to 99.5”) and WOAZ on 99.5 (where it’s being buried very quietly while the WKLB-FM calls get transferred). And the WOAZ website at www.woaz.com still bears a big “Oasis 99.5” logo. What will the new 96.9 call be? NERW’s been hearing it will be WSJZ, but M Street is reporting this week that 96.9 has requested WOAZ — even though the “Oasis” identity has dried up and blown away. Another format change is reportedly on the way as well, down the AM dial at 1260. WPZE, the newest property of Hibernia Broadcasting, will reportedly take on Disney/ABC’s “Radio Disney” kids format. Disney’s been pushing the format hard around the country — it just debuted on 50kW KTZN (710) Los Angeles and there are rumors it might even show up on WABC itself.